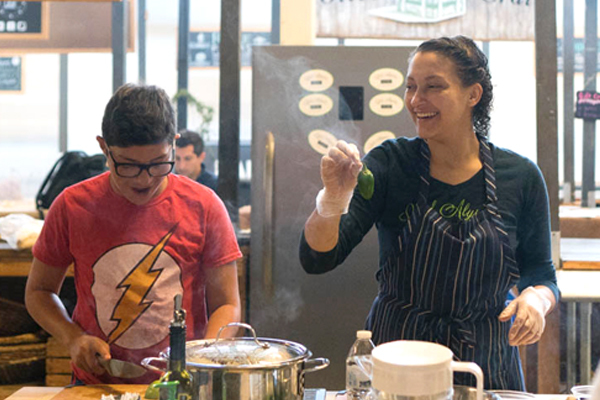 Chef Alyssa’s Kitchen isn’t just for adults. We also offer classes for kids (ages 7–12) and teens (ages 12–18) throughout the year, as well as parent-child classes for kids 7 and up. Parent-child classes will begin April 2019. 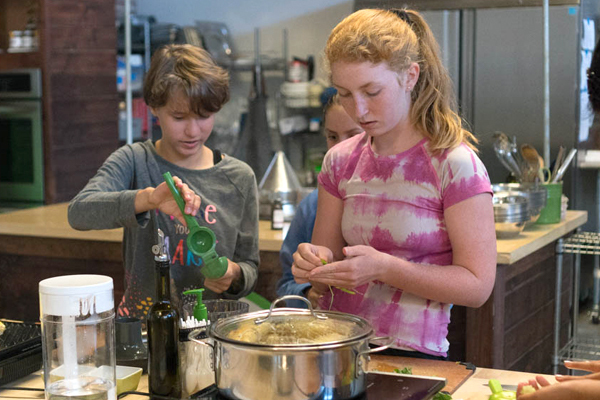 Most are held on Saturdays in the late morning or early afternoon; We also host mini-camps during school breaks and weeklong culinary camps in the summer. These award-winning classes are for real hands-on. We use local and organic ingredients and teach actual techniques. Participants will learn valuable skills while discovering just how much fun they can have in the kitchen. Plus, an added benefit of their hard work each day is when they get to enjoy a full meal they made themselves—from scratch. 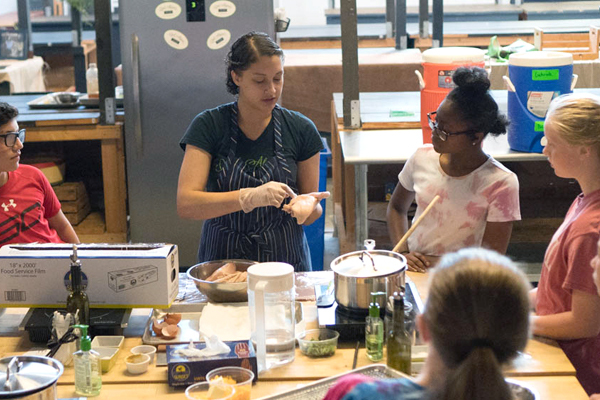 Want to enjoy brunch while your camper takes a Saturday cooking class? View our brunch menu here.